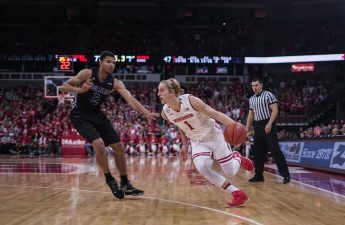 A second-half offensive explosion and stingy defense led the University of Wisconsin men’s basketball team to a 71-60 win over No. 23 Maryland Sunday afternoon at the Kohl Center. The No. 11 Badgers trailed by 6 points heading into halftime, but used a 19-5 run to start the second half. That, combined with the return of senior guard Bronson Koenig, helped UW (22-5, 11-3 Big Ten) remain tied with Purdue atop the Big Ten standings and pushed Maryland (22-5, 10-4) one game back. 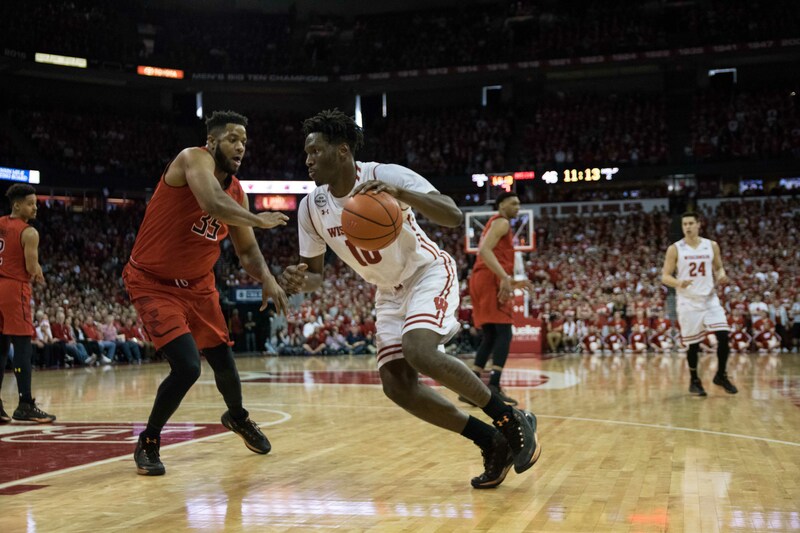 Redshirt sophomore forward Ethan Happ and senior forward Nigel Hayes led the Badgers in scoring while redshirt freshman guard Brevin Pritzl’s play energized Wisconsin. Melo Trimble led the Terrapins with 27 points. Here’s a breakdown of the Badger victory. 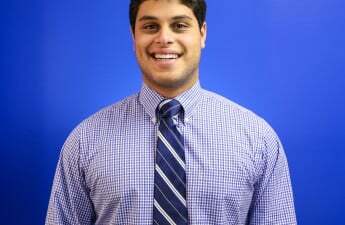 This could easily be Ethan Happ (20 points, seven rebounds, five steals, three assists, two blocks), but Hayes was the engine driving the Badgers offense. Not the most efficient outing for Hayes — he shot 6-for-15 — but he managed to lead UW with 21 points, mostly because of his 9-for-14 performance from the free throw line. 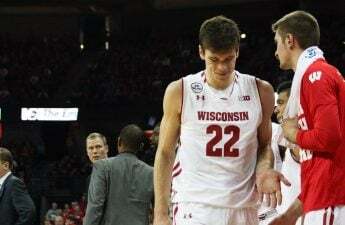 Hayes was also one of the only Badgers not to suffer from foul trouble, and played 38 minutes. He also grabbed 10 rebounds for a double-double and added two assists and steals apiece. 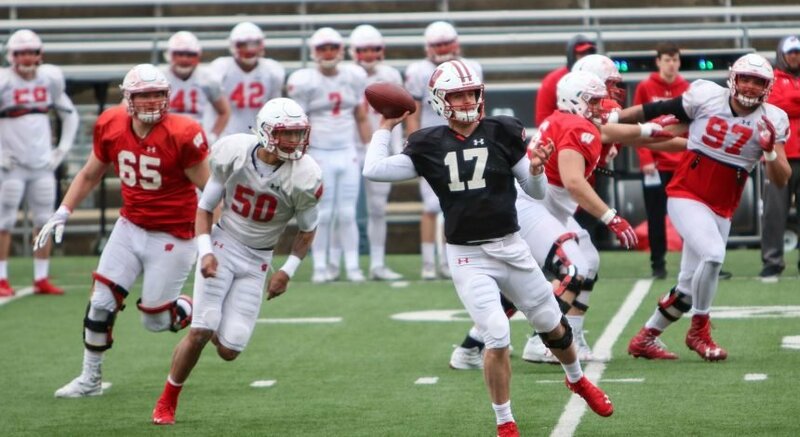 Trimble was essentially Maryland’s lone offensive threat, but he was effective. His 27 points came on 9-for-17 shooting, including 4-for-7 from 3-point range. He also added five rebounds and three assists, but turned it over four times. Trimble scored 8 points in a row to make it a 4-point game with 7:21 remaining. Then fatigue kicked in, Maryland coach Mark Turgeon said, causing him to sit Trimble the final 4:32 of the game. Pritzl has seen his role increase from a seldomly used bench player to a cult hero. He scored 7 points and hit the boards hard, snatching five offensive rebounds. The impact of his hustle was palpable, as Pritzl provided a spark that ignited the rest of the team and helped catalyze the 19-5 run in the second half. Happ started the second half with an easy layup, then Hayes and Zak Showalter added layups. With 16:29 remaining, Koenig hit his only 3-pointer of the afternoon to tie the game. He proceeded to nail a step-back for a 38-36 lead. Two Happ layups and another Koenig jumper led to the stretch’s exclamation point: a Happ one-handed dunk off an assist from Hayes. The Badgers did not look back. Trimble’s scoring outburst brought the Terrapins back, but Hayes answered with a jumper and freshman D’Mitrik Trice followed suit. A Pritzl tip-in and a Koenig jumper iced the cake.